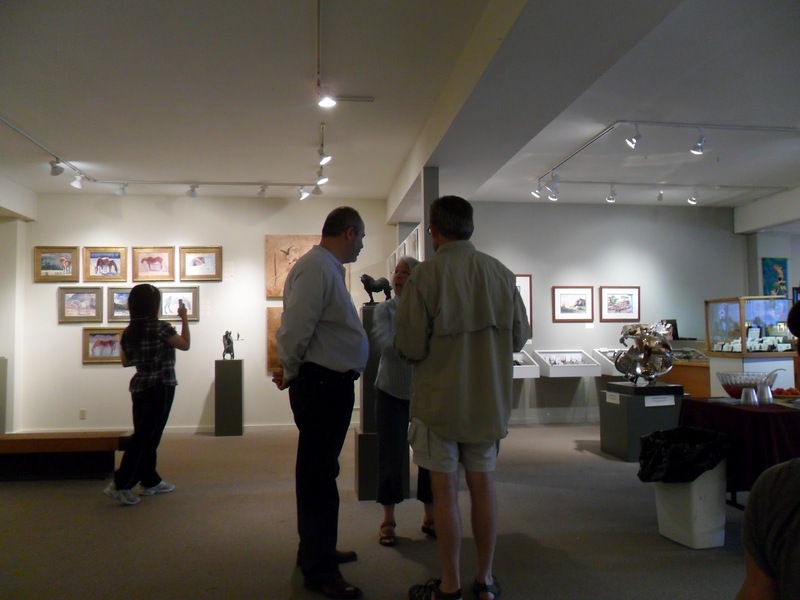 With over 40 pieces in the Confluence Gallery our opening was a delightful success. Six of my paintings found new homes. Sculptor Simon Kogan and I shared our art with the Methow art community. I thank the folks at the Confluence Gallery in Twisp for doing such a good job prensenting our work and their professional management of the opening reception. If you have a chance to visit the wonderful mountain community of Twisp and Winthrop, Washington, stop in and see the great work we have at the Confluence. The show will be up untill July, 28.